I've been kicking around ideas for a MIDI looper for an insanely long time -- and it's finally come together. 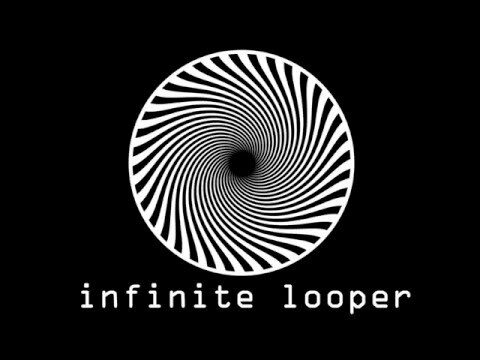 Infinite Looper has just been released, and should be at an iTunes store near you shortly. Intro pricing for the first week or so. It's got internal sound fonts, Ableton Link, Audiobus, MIDIbus, supports MIDI export, has an internal recorder, notepad, a zillion programmable pads, split-view support, and something that will really bake your noodle once you think about it, a loop sequencer that should make things really really fun. Did I mention MIDI learn? Yeah, MIDI learn too. Here's a quickstart video, and the iTunes link. Wheeee! Not on the UK store yet, but this might be right up my street. What's the price? Intro price is $10. It'll hang there for a week or so, then bounce up to $20. Great video. I wish all developers would create comprehensive videos like yours for their apps upon release. At last , a true midi looper. The "section" feature is brilliant. That's an automatic buy as soon as the store shakes it loose. This looks like Genome Midi Sequencer should have been. Looks very nice especially the arranger. What time signatures can be used with this? It would be nice if changing time signatures is possible but that's probably too much to ask for. Hie much is sidecar app and will the slide work with iPad Air 1? No idea what it really is. No idea if or how I'll use it. No money in the kid's lunch box. Instabuy. I won't be buying this. It's not for me. But, even with my limited experience I can tell this is a very well thought out app for its intended audience. Stellar even. But if I could be so bold, or even "stridently entitled" might I suggest that for the first update you invest a farthing of your profit to hire an actual graphic interface designer to put a lil lipstick and eyeshadow on this duckling? Looks like it was designed by a programmer musician without much attention at all to aesthetics. And available right now?! That is out of the blue! Now I hope this will wake MODSTEP dev a bit, and make him add a keyboard, velocity input. The song arrangement feature and export is pretty neat on this one. I'm going to need a manual, an automatic, and a driver as well. After watching the intro video, I am now 13 minutes more confused than I was before. But, I am impressed with this app, and will get it to be slapped around, just like a few other apps I own like to do to me. Haven't seen the video but have shoved my tongue in its ear and it's an intriguing thing, BUT while I'm sure I'm missing a lot of what it can do, it does feel like a 1.0 (as it should maybe). The concept however, a different take on midi looping, is very appealing. Am suffering an instacrash on audio export (Air 1/latest) which is a bit disconcerting, but sure SBD will sort that out. Many questions about how this/how that, but I certainly don't feel that I've taken one for the team here. Many possibilities, but a fine tuning of the interface (I'm not talking whether it's pretty or not) just some simple things that either aren't there or are too well hidden etc. is likely. Oh, and as regards the look, I don't mind mechanical and workmanlike, I favor restaurants with pipes exposed, but I'd like to get rid of the spirally thing on the start up (or just turn it off). I am genuinely migrainous and that makes my head hurt. It's not horrible, but it could definitely use some refinement. I know it shouldn't matter, but if we're being honest... we all know it does. And, it doesn't have to be "dolled up pretty" either. Minimalist would do fine. Capable, stellar apps like AUM, DRC, Shoom, etc. don't have a "fancy" look either, but they do have a sophisticated aesthetic design that's appealing to look at. Probably not the way to do things, but wanted to add another note to say I DID just watch the video and having played with it blindly (my strength) it all became clearer after so doing. For me (it was an accident) most likely the best way round to do it; get a sense of the thing, then get some explanation. I want to say it's going to be cool, but the truth is it ALREADY IS cool. And infinite. Got to hit the streets early in the morning and I know this is a good app because that pisses me off. I want to stay up late playing with this thing, BUT I am a little (minor) concerned about the saving/exporting/crashing so would caution making a masterpiece/spending several hours on a single piece until you're sure it's holding onto everything. Again that might just be me. It's a really good addition. Serious congrats to SBD. Just purchased, so far so good. Feels much easier to just jump into and just start making music than modstep, although modstep is more powerful and refined overall. The one big advantage I like about this is you can play multiple clips for one synth at the same time so I could dedicate half the clips to 4 different melodies and half to four bass lines and jump between them which is nice. Feels easier to sequence Gadget through this than sequencing Gadget through Gadget as well. ^ very good for collecting ideas/clips, easy to sketch or jam. Link. Liking the unhip non-design - having it's own flavour. Hoping for iphone edition. Watching the video. Reading this thread. I'm trapped. All Secret Base Design apps just deliver functionality. Thats great! See if I can resist. Pro Midi and genome never found their way into my workflow but this one... @crzycrs unhip non-design, right! This does look very good, congrats on the release! Just wondering what workflow advantages it may have over Modstep at this stage, or a way of working along side it....I think the importing and exporting of midi clips would help a lot. Bought it. It needs some improvements but got it for the intro price. Syncing is weird . When Link enabled and changing tempo (increasing) ,InfLopper struggles a bit to catch. The editor lacks of selection tool (unless I am wrong) ,copy/paste and needs vertical zoom in/out. Also no midi CC. I don't know if it records CC or pitch bend but will try soon. So far Infinite Looper seems solid and enjoying it much! Thank you for this. Once again your innovations are superb. This is a very welcome app, looks excellent! does it have soundfont import? And where are the time signature settings? Would be nice to see a screenshot to know what options are available.